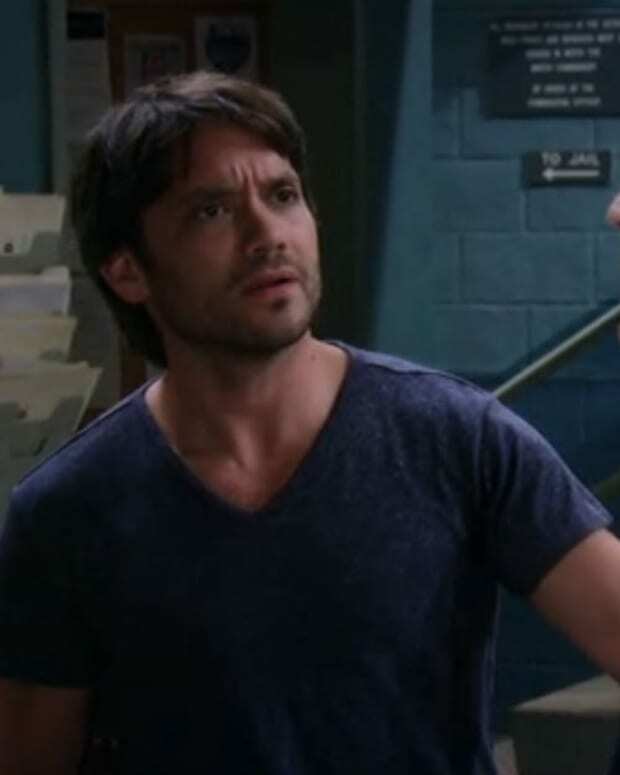 Perkie's Observations: Did Nina Kill Silas on General Hospital? Laura confronts Liz with the knowledge that "Jake" is Jason. Liz begs her to keep it a secret, but Laura&apos;s says after struggling with it and she&apos;s decided to tell the truth. Laura mentions how Monica doesn&apos;t know that her son is alive and reminds Liz of how it felt to get little Jake back. Liz says Laura needs to stay quiet for the sake of Lucky and Nikolas. Liz says she believes Nikolas is responsible for shooting Hayden in the head and explains her suspicions to Laura. Liz says if the truth comes out police will reopen the shooting and trace it all back to Nik. Liz swears she&apos;s trying to protect Nikolas. Ava&apos;s worried that Silas will tell Kiki the truth. Morgan doesn&apos;t want Kiki&apos;s heartbroken and claims he&apos;ll do anything to keep Silas&apos; mouth shut. Ava says she&apos;ll figure out a way to get Silas to back off. She makes Morgan promise that he won&apos;t do anything stupid. The two storm off, separately. Nina&apos;s thrilled to see Franco. He apologizes for doubting her and the two declare their love for each other. Franco wants to get her out, but Nina admits she voluntarily signed the papers. Nina says she has a guilty conscience because she took the baby and blacked it out. She explains that she has the baby&apos;s blanket. Franco tells her that Silas took the baby and explains about Ava. Nina gets angry because Silas tried to pin this on her and chose Ava over her once again. Nina swears Silas won&apos;t get away with this and storms out. Sam is thrilled when Patrick tells her that Liz is willing to have Jason&apos;s boys interact. Sam runs into Jake. They discuss how the boys will grow up as brothers. Talk turns to Nikolas and Jake wonders if Nik knows his identity. Michael confronts Nikolas about how ELQ stock has taken a nosedive under his leadership. Nik counters that things fluctuate and he will have the company thriving in no time. Michael promises he&apos;ll find something to use against Nikolas and get his company back. Patrick tells Sam and Jake that Hayden is waking up. Nikolas shows up at Liz&apos;s to talk to his mother. Ava gets back home, shaken up. Franco finds Nina holding a knife over Silas&apos; dead body. Perkie's Observations: Did Madeline Kill Silas on GH?